By popular demand, we've added Trading Cards and Sketch Cards to our offerings! 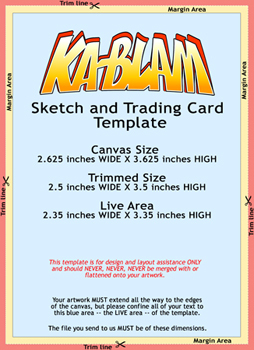 Click the template image to the right to download our Trading and Sketch Card Template. makes for easy re-ordering on your end. The Standard Card is UV coated on the glossy front side and uncoated on the matte back side. 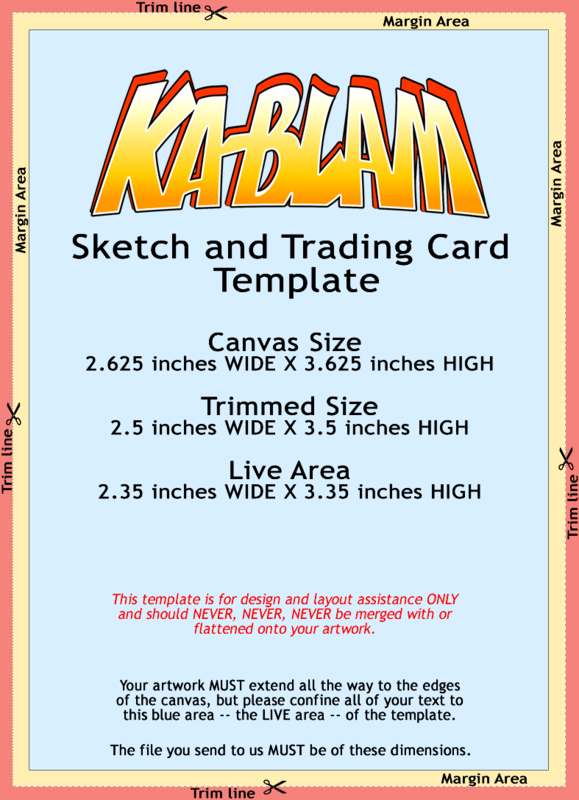 This is the ideal option for sketch cards. Some sports and trading cards were traditionally printed with a glossy side and a matte side. The Premium Card is UV coated and glossy on both the front and back. Do NOT choose this option if you want a sketch card or a drawable surface. There are four pricing tiers. Ordering in volume will decrease your cost per card significantly. You must be loged in to place an order.